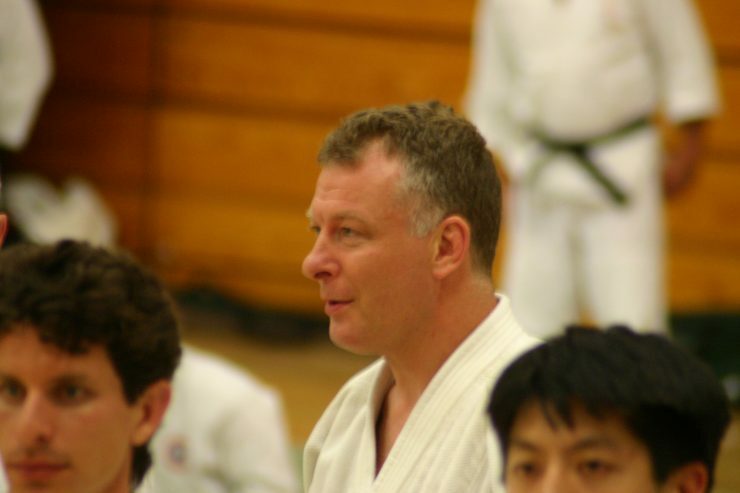 Bruce Bookman, 5th dan, is Chief Instructor of the Seattle Aikikai. He began studying aikido at age 12, under the direction of Yoshimitsu Yamada of the New York Aikikai. In 1978, he went to Japan to train at the Aikikai Hombu dojo, where he studied under Doshu Kisshomaru Ueshiba and Kazuo Chiba. 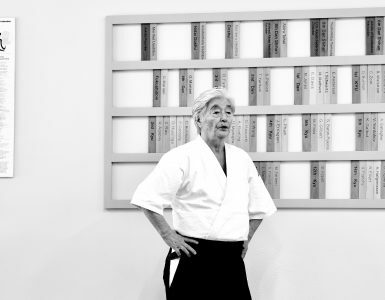 In 1980, Bookman returned to the United States, and established the Seattle Aikikai. 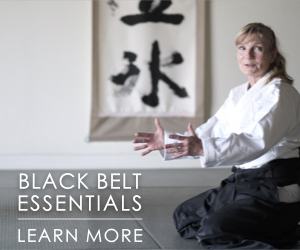 A professional aikido instructor, Bookman has recently begun to produce quality instructional videotapes. AJ: For the record, Bruce, when and with whom did you begin your aikido training? Bruce Bookman: I began training twenty-five years ago, in 1970, at the New York Aikikai with Yamada Sensei. And why did you begin training? I needed self-defense. I looked in the yellow pages and discovered that the martial arts school closest to my house was the New York Aikikai. I had no idea what they taught there; martial arts were martial arts, as far as I was concerned. I went to the dojo and just fell in love with aikido. So it was love at first sight? Yes. I saw one of the senior members doing a forward roll, and it looked so smooth and beautiful that I just had to learn how to do it too. I didn’t even care if aikido was self-defense, it just grabbed me. I went out and got a gi right away and came back and started training. Yamada Sensei also impressed me very strongly right from the beginning. He was such a kind individual and I always felt him to be a very nurturing presence. It’s hard to describe all the ways that Yamada Sensei has helped me. He had something that I wanted—mastery of this art. Yet, he was one of the kindest people I have ever met. I recall the times I was called up to his office for these little talks. I can almost remember them word for word—the attitude adjustments, talking about training and how it related to my life, how a dojo operates, how to interact with other people, and the whole idea behind aikido. One thing that I genuinely appreciate about Yamada Sensei is that he has very few pretenses. At the time, I was reading everything I could about aikido. I had spiritual ideas about the art and Yamada Sensei would go through and destroy every single one of them. Any preconception that I had of what an aikido teacher should be, Yamada Sensei helped me to dissolve. And this helped me to be able to absorb more. It was quite spiritual, in a way. Yamada Sensei probably wouldn’t describe himself as a spiritual person, but I think that at some very important level he is. So how do you look at aikido now? I believe that aikido is graduate-level training, because it takes you out of the dichotomous arena of winners and losers and suggests that there is a third option, a way of peaceful reconciliation of opposing forces that’s mutually beneficial. Now, here’s where the problem is. It is a very easy thing to say “peaceful reconciliation of opposing forces” and “mutually beneficial.” In some respects aikido is no different from any other martial art. It’s not very peaceful to throw somebody on the floor or to twist their arm. If you are trying to apply a technique on somebody who is really coming at you, I’d like to see if you really can do it without putting a scratch on them. We are shooting for an ideal here. It is convenient to hide behind a facade of spirituality. What I understand is that O-Sensei came across his spirituality through a long and, at times, bitter struggle. In recent years I’ve found cross-training to be very helpful. When O-Sensei first started teaching aikido, it is well known that he accepted mostly those who were already very accomplished in other martial arts, in more combative styles. They must have come to appreciate not only O-Sensei’s outstanding ability but also the spirituality that he brought to his art. That is why I say that his teachings must have been like graduate training to hard-core martial artists looking to bring their practice to completion. As aikido got more popular, and as people without martial arts backgrounds got into practice, the positive effects that training have on people’s lives was undeniable. There is no competition in aikido, so you can shelter yourself pretty well. I’ve practiced with people all over the world and now I feel I need to do more study to understand the nature of violence and the reality of conflict, to try to trace my way from violence to the peaceful reconciliation of conflict that O-Sensei talked about. I don’t feel that we should ignore all of the work that O-Sensei went through before he got to the point where he could say that aikido is the way to reconcile the universe. It is easy to read a passage from O-Sensei’s memoirs, get out on the mat, and make pretty circles with a cooperative uke, and come away from practice with the notion that we are in perfect harmony with the universe. Here lies aikido’s challenge. How do we keep the practice alive, spontaneous, with an element of risk, without competition and destructiveness? Additionally, how can we do this without segregating practice by weight divisions or gender? It’s a tall order and I don’t claim to have an answer. The answer to these questions will be different for each aikidoka. What I think is important is to pose the question to yourself and to work on it in training the way a meditator works on a Zen koan. For me cross-training in other combative martial arts has been useful. As an instructor, I find competition to be a pure experience of adversity. I don’t suggest that everybody do this, and for many this type of experimentation is impractical. It’s like studying English in college. If you plan to go into business when you graduate, you probably don’t have to take a lot of Latin and Greek courses. But if you’re going to be a full-time scholar, then a background in Greek and Latin is very helpful. I teach aikido professionally, therefore it suits me to cross-train from time to time in striking and grappling arts. We can’t draw on Morihei Ueshiba’s account. We have to build our own. I agree. Again, it’s easy to fall in love with the words, like in reading a good poem. But good poets are writing from some personal experience, and O-Sensei is like that, too. You have to have some experience. Your art has to be backed up by something. I don’t feel that you can take O-Sensei’s art, the way he did it when he was eighty-five years old, and practice that way as a young person. I think that’s where a lot of people fall into a trap. You’re raising an interesting point. Aiki training, in your opinion, is graduate training. 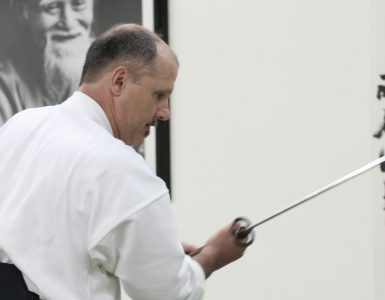 You’re saying that people come to aikido and look to Morihei Ueshiba’s art and technique—after his many, many years of experience—as their model. Do you think that people should have experience in another art first? Or, if you accept them as raw beginners, do you encourage them to cross-train? If you encourage them to cross-train, when is that appropriate? That’s a very difficult question, and I’m in the midst of working out a lot of these things in my own mind right now. It depends on what you want out of the art. What’s most important is that you’re not fooling yourself. Most people who come into the art are looking to temper their spirit somehow. When we practice we symbolize an attack and a defense. We work out different kinds of confrontational situations as alternatives to retaliating by destroying the other person. This kind of daily practice, done over and over again on a physical level, has an effect on intellectual, emotional, and social levels. It permeates everything in you. Yes. It is obvious with adults and especially with children. Through their practice they become less aggressive people. They think of alternatives to violence, and I believe that the world becomes a better place as a result of this type of training. To take it to the point where there is a perfect reflection of the spirit in physical technique—that’s another issue entirely. What you will do will mirror how you train. If you train with boxers all of the time, then you’ll be able to deal with boxers. If you practice with grapplers, then you’ll be able to deal with grapplers. If you’re not used to how a boxer attacks and you get into a physical confrontation with one, you are going to be in trouble unless you are such an incredible genius that you can see the theory behind shomenuchi and how to do it entering in an irimi movement, and then apply that to a fly punch combination of a world-class boxer. To do that requires a kind of genius. You have to keep a reasonable perspective. 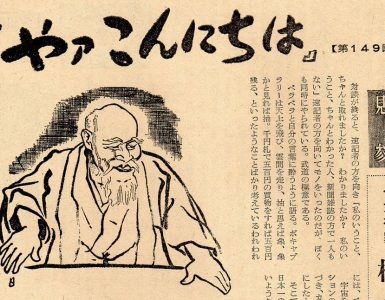 There are many who become aiki philosophers, and think “Ah! I have a theory about this, I’ve discovered it! You know, it seems right, it’s good.” Then, when they meet a skilled person who is really trying to clean their clock, they may be disappointed in what they can actually pull out of their training. Aikido is a martial art. It is an effective method, but it takes a long time to master. Mastery takes very careful observation and careful study. You’ve got to risk a little too. Well, this is hard to talk about because it’s such a complex process. Before you can understand harmony, you’ve got to understand conflict, because if there’s no conflict, there’s nothing to harmonize. Studying conflict is dangerous. What I try to do in my own training is get right on the borderline, where I’m really stretching my own limits, trying to understand the nature of conflict. That’s where my cross-training comes in. So you take physical risks and mental risks, in the sense that you really challenge your assumptions. Yes. Also, I feel that I’m risking my self-image. So you’re taking emotional risks as well? You have to put it all on the line if you’re going to be honest about your practice. Now you were saying that the art must be flexible enough to deal with all manner of situations, all manner of attacks, on a technical level. So your cross-training both widens your experience and deepens your understanding of conflict in the physical, emotional, and cognitive or theoretical senses. What kind of cross-training are you doing? I did American-style boxing. I found a boxing coach to work with who was a Golden Gloves Champion. He has trained many amateur champions and currently spars with professional boxers. He and I sparred about twenty rounds a week. We did drills on footwork, focus mitts—all of the traditional methods for American boxing. I also practice jujutsu. I visit the Machado brothers in Redondo Beach, California, for training in Brazilian jujutsu, then work with some of my students and other martial artists in Seattle. I find some of the things they have come up with to be very intriguing. While on a philosophical level there may be a lot of differences, on a mechanical level I find what they do fascinating. Their personal manner and their style of doing martial arts are quite exceptional. So where does it all fit in to aikido? I’m giving myself a semi-sabbatical and just trying to absorb these things the way they’re given to me, without trying to approach it as an aikido instructor. I’m just trying to approach it as a human being and then see what it means to me. Also, these other disciplines are highly competitive; they tend to be more aggressive in their training. For me, this sort of training brings up very personal things that go all the way back to my childhood. I don’t really have any idea now where my cross-training is going to end up, or how it will affect my aikido practice. I feel that it will have some effect. One key way in which it helps me is that it puts me in a training situation where I don’t have much control. In an aikido class, the situation is very orderly and you always know the outcome. There is a lot of risk involved. It’s dangerous to box. You risk all sorts of things, even without boxing competitively. I had to stop boxing due to an eye injury. Nevertheless, one of the things that 1 got from boxing training was a finer ability to feel someone’s intention and move to safety before a punch lands. I’m better able to move out of the way of attacks, not because I see them coming, but I can sort of feel them. The whole idea of fading and slipping in and entering involves a tremendous amount of body contact even though it looks like two guys are just hitting each other. 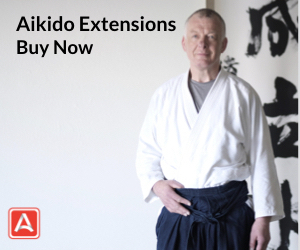 There’s a lot to do with movement and timing, the same principles that we work on in aikido. You have to be soft to box. You can’t be tight. If you want to hit strongly, quickly, and not be detected, you have to use your center and you have to be soft. If you get struck and you’re tight, it hurts a lot. If you get hit and you’re soft and you know how to absorb it with your center, you’re in much better shape. You can actually turn it around. You can counterpunch. You can make the person stumble off balance. You can control the fight; you can make the opponent move where you want him to, which was something that O-Sensei spoke about. So I see a tremendous correlation between the disciplines of boxing and aikido, even at the rudimentary stage of boxing that I was in. But, there is a difference on a philosophical level. Boxing doesn’t pretend to be the least bit spiritual. So how does that compare to what aikido is for you? Aikido is a tempering of the spirit. I think it’s the only game in town, really—how to make the most of your life, how to get to a higher level of consciousness. I think budo is a way of doing that, and aikido really emphasizes that process. The way that many train now, though, it is quite easy to fall into a spiritual slumber. Competition is a natural method in which that can be avoided. I wouldn’t dream of falling asleep on my sparring partner when I’m boxing because I’d get my clock cleaned instantly. The same goes with grappling. If you start daydreaming you can get choked out or get your arm broken. So it’s up to each individual, under the eyes of a skilled teacher, not to fall into this kind of a slumber while practicing aikido. I think this struggle against complacency is crucial and perhaps it is part of what I’m doing with my cross-training. It’s very refreshing to me to see how other people, who know nothing about aikido, know about human confrontation, what their solutions are, and how they move and how they think. So, I’m doing a lot of research and development right now and I’m examining the traditional roots of aikido very carefully. I’m trying to think of what the human process might have been that resulted in aikido. It’s not that I’m trying to re-invent the wheel, and I’m in no way trying to say I’m doing anything that even remotely echoes what the founder did, because I feel he was an incredible individual, one in ten million. But I am trying to examine and understand the process that he went through because I believe that there must have been something lost in all the translations. You’re not just allowing someone else to digest the art and its meanings for you, you’re going through the entire process instead? I’ve tried to take it all in, digest it, and internalize it. I’ve really tried. Some things make a lot of sense to me, but some things are just going to have to “sit” more. I have to do more primary or firsthand research. The Buddhists have a saying, “Don’t believe a thing if you haven’t experienced it.” So I can accept some of the ideas and theories, but since I teach aikido, I feel that it behooves me to be more of a first-hand scientist, a researcher. Kazuo Chiba said that, when he was studying directly under Morihei Sensei, he and some of the other uchideshi would train in other arts for the same reason. But he investigated other disciplines as well. You do a lot of reading, you’ve done some zazen (seated meditation), you’ve done some yoga. What else are you doing in terms of your cross-training? Well, I’ve done a lot of things. I was a part of the professional Feldenkrais program for two years. I’m certified to teach Feldenkrais “Awareness Through Movement” classes. What fascinated me about Feldenkrais was the theory. It’s a system that addresses the spontaneity of the human being and takes into account not just the mental or the physical aspect, but the true integration of mind and body. I think that Feldenkrais was another one of these geniuses, like O-Sensei, who knew things at a very intuitive level and did the best he could. But he was analytical, too, and a mechanical engineer. Exactly. He was a very astute observer. His view of the human psyche fascinated me. But with all the Feldenkrais training, I’d have to say that the strongest effect it has had on me is that it’s put into words a lot of things that were not fully explicit in my training and teaching method. I can reach more people now from having a more conscious idea of what goes on with a person when they train, in terms of body/mind integration. Going through the Feldenkrais program has also given me more compassion for people, and I’ve discovered how people’s backgrounds are so different that to try to use a common yardstick on them can be a cruel thing. Whether I can actually move out of the way from somebody coming at me any better because I’ve done all this Feldenkrais work, or whether it has made me better at the physical components of practice, well, it depends on what day you ask me that question. Some days I feel it has and other days I feel it hasn’t. So the jury is still out on that. Earlier you mentioned that you’ve done some zazen. Yes. I’ve practiced zazen on and off. First, my teachers suggested that I do it so I did. Then, after a while the concept of zazen became very attractive to me, just not trying to do anything. All you are trying to do is to be with yourself. That’s my interpretation. The whole idea of zazen is just to sit on the pillow. Just to sit down. It’s not for enlightenment. They can tell you things that it’s not for and it leaves a void. That’s what it’s for, and I think it is very valuable training. It’s something that I intend to pick up again, because I don’t feel anywhere near finished with it. It seems to be an exercise in coming to terms with yourself, and it really starts a reflective process, where you become like a witness to your own thoughts, your own emotions. I’ve also done some eclectic types of meditation such as Arica training, which is a reflective school. It helped me to establish an internal witness for my thoughts and my movements. I think it’s crucial for anyone striving to reach a higher level of consciousness to become an observer. Feldenkrais was a very watchful observer of movement. Meditators watch their mental process. They don’t try to change it, but just watch. If you watch a body of water long enough without trying to interfere with it, it calms down by itself. You must have the presence of mind to leave it alone. It’s very non-judgmental. And it opens you up, because the one thing essential to studying the martial arts is to be open and flexible. The moment that you get rigid about something, you have a fatal flaw. Let’s get back to the notion of aikido as self-defense. How is it practically useful? As I said before, the practice method, whether you are doing it as a martial art or not, changes your psyche. Ultimately, that’s where self-defense lies. I feel that aikido is one of the most effective self-defense arts because of the mindset that it puts you in. I haven’t lifted my hand—outside the dojo or a training situation—to anybody in twenty-five years. Who knows? Something could happen tomorrow, but I feel that aikido training has had a good influence on me. I’ve lived in New York City. I went to a high school where I was the only Caucasian in the whole place. I was there for years and have been in all kinds of situations, yet never had to lift my hands to anybody. I’ve been a bartender. I’ve been a bouncer. I’ve even been a bodyguard. I have been around all kinds of martial artists, crazies, and semi-crazies. And I’ve never really found a situation that I had to resolve by resorting to using my hands or physically hurting anyone. So, I think aikido works on this level very effectively and that, as we evolve as a world, as a human race, I think aikido is the direction that people are going to be heading. I think that aikido emphasizes this evolution of human awareness more than most arts, though it is certainly possible to come to the same place through other disciplines. But I think the nature of aikido training and the movements themselves are particularly conducive to this type of development. Just look at the basic tai no henko movements. What an incredible concept! Two people are moving in totally opposite directions and there is a conflict that develops from two powerful spirits coming together. Then there is this entering and turning movement and there are two people standing side by side as one entity. A sort of physical and spiritual metaphor. There’s no winning and there is no losing at that moment—it’s just practice. Tai no henko. There is nothing forcing you really to practice it correctly except your own spirit, your own integrity in training. And this type of practice is so conducive to making a change in your emotions and intellect. It’s been a very effective process for me, one that I probably would not get if I were just to do boxing, jujutsu, or some other art. Now, it also happens that I meet some people from “hard” disciplines and they are some of the humblest, nicest people you can possibly meet. But I do think there is a special message in the way aikido is practiced. The various movements can inspire a person, if you let it happen. So you think the absence of winners or losers is important? Yes. Let’s talk about competition a little. First of all, you know, tournament-style competition in the Japanese martial arts is not very old. Something the Aikido Doshu once said was that when you use competition as a way to reflect on your training, or to see how good you are, it’s a very external way to get feedback, because you are depending on the ability of the other person to be able to assess yourself. You have to compare yourself directly with them, and so you are dependent on their training, their level, to make your own assessment. There is no internal means of doing that in competition. If your opponent attacks you, trips and breaks his toe, falls down and you win, then you’re the winner by default. You have won the bout or the championship. But what do you really know? Or it may be something less dramatic. Sometimes people roll out of the wrong side of bed in the morning and their performance is much different. But, you can use competition as a way to analyze your own ability. You get an idea of your level after a while, if you keep winning one right after the other, or losing one right after the other. But it’s not a panacea or the ultimate tool for assessing your own growth and development. 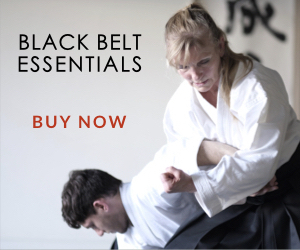 In aikido, at least in those styles where you practice budo, martial arts, or self-defense—on whatever level you choose to study— YOU keep that edge in your training. To change the subject a bit, it seems to me that the Japanese-based aikido organizations—though I think they should be very important and the center of focus, if only to bring everybody together—don’t provide enough support, authority or responsibility to local people. In Ueshiba-style aikido you, Larry Bieri, Glenn Yoshida, are some of the guys who went over to Japan and trained a long time, and got a lot directly from some of the most senior people. To my mind you are some of the best technicians, and have the best insight. There are also people who have trained hard for many years in the United States and other countries, who have reached fairly high levels. But I don’t think you all are being allowed to have enough input or influence in the running of things in your own country. Do you have any thoughts on this? I don’t think it’s that unusual in terms of big organizations. It’s not unlike large corporations in America that have branch offices in other places. The corporate officers who come up through the ranks at headquarters are always treated differently than those from the branch offices, even though the latter may be doing the same type of work and may even be better managers in some ways. The bottom line is that there has to be recognition from the headquarters in some way. Eventually some sort of equal footing must be achieved, otherwise the organization is in trouble. Any time an organization becomes too repressive and suppresses the human spirit, it becomes like a pressure cooker, just building pressure, about to go off. Things find their natural level, just like water seeks its lowest level, and I think people are like that, too. They are constantly evolving organizations that are more sensitive to the needs of non-Japanese aikido teachers, and the political power will necessarily shift. Right now, I’m pretty apolitical. I run a dojo here in Seattle and my personal affiliation is more important to me than the political ones. My teacher is Yamada Sensei and our personal relationship is more important to me than our political relationship. Really, my students don’t care what organization we belong to. What’s important is how I relate to them and how they relate to me. I’d like to summarize what I’ve said. I feel that aikido comes from a martial tradition, and there are combat-oriented techniques that can be helpful, but I think that the combat aspect of the mechanics is just the tip of the iceberg. Aikido is purely a method for tempering oneself so you can go on and evolve as a person, and that does not include getting into confrontations with others. Aikido comes from a martial tradition, and it tries to extract those elements from the martial traditions that can do positive things and will help people in their daily lives. So whatever you are doing in your work, it makes you better at it. I think that is what aikido is all about. I find some of the interviews done with Aikido teachers rhetorical and shallow. Some of these people are intelligent, well studied, and have become masters of paraphrase and regurgitation. This is not the case with Bookman Sensei. Much like his comments on Budo and the integrity of practice/research, he brings practical reality to the table when he teaches or trains. He does not tell someone how to dig unless he has held the shovel. Bookman Sensei bears the scars of effort and the weight of his contentions with quiet confidence. He carries all of it with integrity. I had the opportunity to interact with Bookman Sensei in 2010 when he became a participant in a “Bridge” session in Orlando. 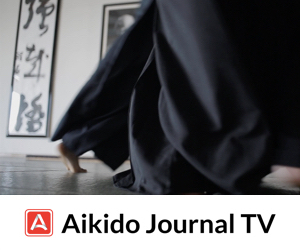 This session brought remarkable instructors together in an environment that supposedly transcended style, organization, affiliations and rank…to focus on the common study of Aiki. There was no big money, no headliners, just the development of a common language to found dialogue on our common art form. Bookman Sensei took himself out of his environment and flew across the entire country to become part of the dialogue on the assurance that there was value was for mutual good. His involvement was pivotal. His input was a manifestation of the contentions and opinions expressed in his interview with Meik Skoss. Bookman Sensei is the real deal and in my opinion one place you can be confident of finding an honest representation of what the martial art of Aikido can become. …we started from the same sort of place, but I didn’t have the good luck to find Yamada Sensei. Nonetheless, here I am a few decades later. Has it been worth it? Yes; not least because when I’ve needed aikido for martial purposes, it’s been there for me. Yes. Well, I thoroughly enjoyed Bookman Sensei’s interview; he is ever the same, “constant”, honest and sincere. My first encounter with Bruce was in 1976 Summer Camp. Chiba Sensei was teaching the class and Bruce and I had partnered up for practice. Anyway, something went wrong with our attempt at harmony (youth and ego I would suggest) and we were in a tangle, pulling, pushing, and falling to the mat. Suddenly, Chiba Sense appeared out of nowhere; “Not like that”, he said. Oh, Geez………inside I was hoping he wasn’t going to demonstrate the correct way on me!! Hah, “Come”, he said to Bruce, sat the class down and used him for uke…and not too harshly, actually. Next day I tested for my shodan. I had done my requirements and later was called to do randori with 5 black belts……………..and, oh my God, guess who jumped up to be part of the 5…yep! Bruce Bookman. Oh darn, I thought, he’ll spoil it for me for sure. No way; he was just grand……….smooth, cooperative, in harmony with my attempts to show Yamada Sensei and Kanai Sensei that I was O.K. Randori went fine….but, what was finer was that when all was over Bruce Bookman singled me out, found me in the crowd, extended his hand and said, “Good test”. Even after our little scuffle on the mat the day before he put that aside and “practised Aikido”. We shook hands, I said “Thank you”, and I remember that ’til this day. Thanks for the lesson, Bruce! Bruce Bookman, Kaicho of Tenzan Aikido in Seattle, has indeed traveled far, wide and deep, not unlike the fabled “Jason and the Argonauts”. His was not, and is not a journey of fantasy, as it truly requires all the talents, skills and the deepest of his personal reserves of energy, self honesty and unconditional commitment to finding the truth, no matter where he encounters it, to achieve the milestones he has to date. Being privileged to attend his 30th Anniversary seminar recently, I was again struck by how amazingly far he has come on his journey. Running a successful dojo enterprise, along with his lovely bride Collette Crawford, he has developed a core program that includes fundamental aikido, weapons, grappling, iai, yoga etc., that serves as a true model and template for those who would want to accomplish the same. The appropriate and wildly successful programming for youth and children is a cornerstone of his enterprise, producing a fertile nursery for future aikido teachers and leaders. His Brazilian Jiujitsu component affords serious martial arts purists to experience first hand, the rigors of competition like environment of training without losing the embrace and guidance of Aiki Principles. When in the Seattle area, in addition to visiting George Ledyard Sensei’s excellent dojo in Eastside, do not miss the golden opportunity to train in a fantastic environment, and with great students. Oh yes, there is Bruce Bookman Sensei to make it all complete!